Our interest here is the route between Ibapah and Salt Lake City. The object was to get around the Great Salt lake desert by going around the southern rather than the northern end of the lake. History buffs will recognize that this was the route of the ill-fated Donner Party in 1846 who took the Hastings Cutoff, which had never before been tried. The Lincoln Highway in part followed that route and I’ll point out a feature later. 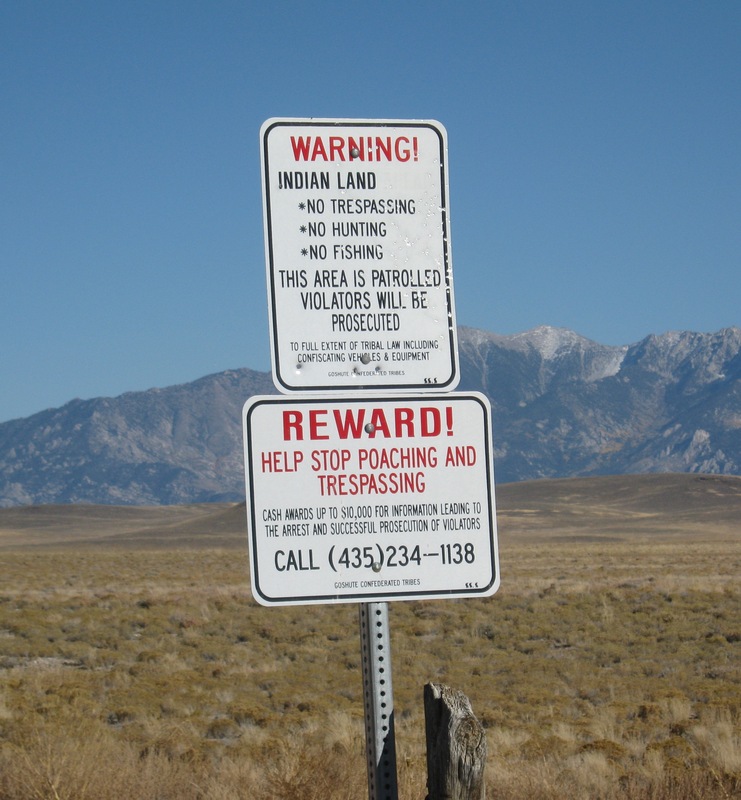 The Nevada-Utah state line is just a little west of Ibapah on the Goshute Indian Reservation and several miles northeast of Tippets Ranch. 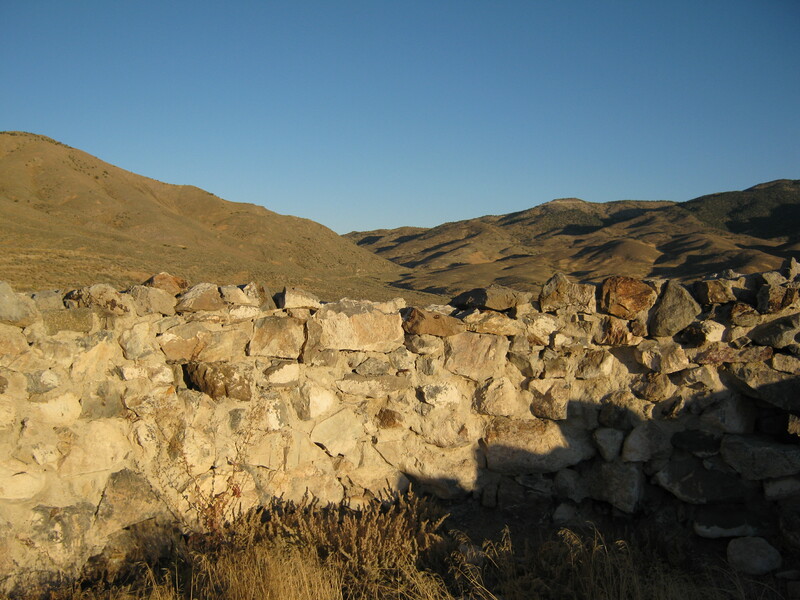 The reservation straddles the state line and is in parts of White Pine County, Nevada and Tooele County, Utah. The state highway, such as it is, runs through the reservation so disregard the “No Trespassing” and just stay on the road. But do drive carefully here since tribal law is in effect. This is a small outpost in the Deep Creek Valley on the west side of the Deep Creek Range. This is also the last opportunity to gas up at the Ibapah Trading Post. On the old LHW this was Sheridan’s Ranch and some of the original buildings are still in place from the Overland Stage days in the nineteenth century. Brian Butko writes about the trading post in his LHW blog. Unfortunately gasoline is not available on Sundays nor Saturday afternoon. If you are expecting to need gasoline then call the trading post (435) 234-1166 and see what their current hours are. Just north of the trading post is the road that leads east to the pass ( 40° 4.698’N 113° 58.137’W) which leads to the alkali flats and the circuitous road around them. The LHW is in the sagebrush to the south and I don’t recommend trying to drive on it. Most of it is overgrown or washed out anyway. The pass itself consists of a number of roads including the old LHW ( 40° 5.987’N 113° 52.747’W) which you don’t want to take – it leads to impassable gullies. The better and newer road down the Overland Canyon is here ( 40° 6.292’N 113° 51.934’W) – the road heads down the canyon to where the Lincoln, the Overland Stage route, and the Pony express briefly meet ( 40° 4.074’N 113° 50.114’W). One tenet of road-building is that one doesn’t build roads in a gully. In her book which I’ve referenced before, Effie Gladding described this part of the journey in detail. “The next day, June 25th, we had a drive of one hundred and twenty miles across rough and lonely country. From Ibapah we went on through the valley in which the ranch lay, coming to an extremely rough canyon road, practically nothing but the bed of a stream.” And here is what she was talking about; it’s the same today. At least the road is well graded. 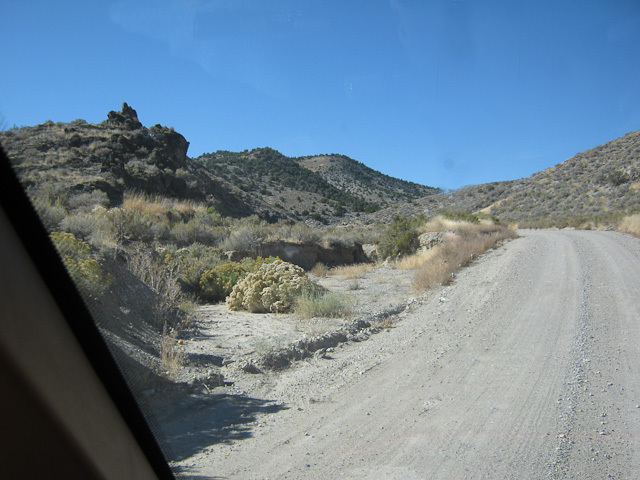 Overland Canyon Road in the stream bed. 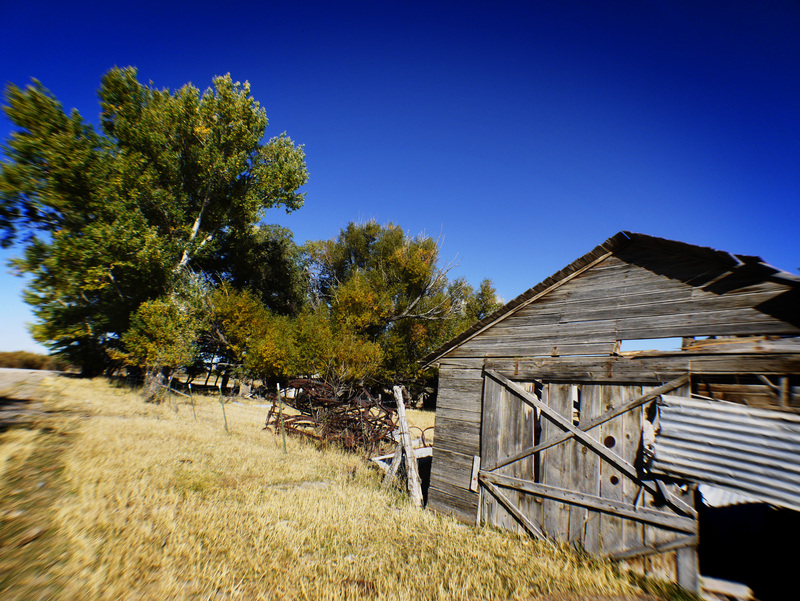 Like so many of the Pony Express stations, the one at the east end of the canyon is little more than walls. (40° 2.672’N 113° 48.263’W) I spent the night there on my way east, a lonely and windy night. This view looks into Overland Canyon. Since we are now crossing into Utah, therefore I have a new reference book for you. The Lincoln Highway: Utah is another in the series of fine guidebooks by Franzwa and Peterson. These books are my constant companions when on the road. I commend their excellent research and guidance. Next Time: An Alternate route through Gold Hill and the Dugway Proving Grounds ( I didn’t go in there, really). This entry was posted in Desert, Lincoln Highway, Utah. Bookmark the permalink.